At Ainslie & Burrows Private Wealth Management Group our mandate is to help you preserve and grow your wealth through tailored investment solutions. Dedication to exceptional client experiences and innovative financial strategies are the foundations of our business. We will deliver proactive and personal advice, working closely with you to help make key decisions about your portfolio that are in line with your goals. Ainslie & Burrows bring over 48 years of combined wealth advice and solutions to individuals, families and small business owners which allows us to help clients make better decisions. We start with a deep understanding of who you are, your values and your vision of success. This means reviewing the financial decisions you've made over the years, the goals you've set for yourself in the years to come, and the ways in which these reflect what is important in your life. To help create your personal investment and wealth plan, we leverage our broad expertise to fit your unique needs. As experienced and accredited Certified Financial Planners and Retirement Specialists we help ensure that every client is provided with a customized plan encompassing holistic wealth management solutions. We work to enhance the income, growth and tax-favoured treatment of investments through the use of effective strategies with regard to retirement, tax planning, insurance, and estate planning, while staying focused and committed on helping our clients achieve their financial independence. Our relationship with you is the key to offering you tailored wealth strategies. The insight we gain from working with you is the basis on which we help design your unique strategy that fits your goals. We understand what makes your situation different. We actively listen and gather in-depth information to help establish a clear understanding of your goals. With TD Wealth Private investment Advice, you will be involved in the decision making process with the added value of professional experience and advice. Getting the appropriate investment advice is a key part of managing wealth. But it's just one part of a bigger picture. You may also need to manage ongoing finances, minimize taxes or structure your estate in a tax-efficient manner. 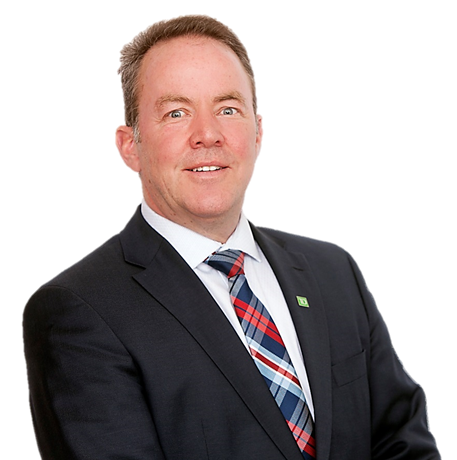 Ainslie & Burrows Private Wealth Management Group is part of TD Wealth Private Investment Advice, a division of TD Waterhouse Canada Inc. which is a subsidiary of The Toronto-Dominion Bank.